The Güell Park is one of the achievements of the Catalan architect Antoni Gaudí in Barcelona, ​​which is on UNESCO’s World Heritage List. It was built between 1900 and 1914. The architects José Antonio Martínez Lapeña and Elías Torres restored it from 1984 to 1993. 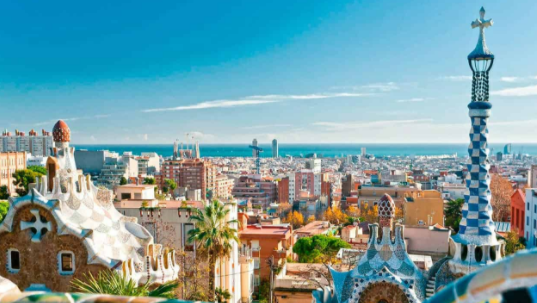 This restoration has given rise to controversies particularly concerning the ceramic dressing of the corrugated bench of the terrace of Park Güell.